It is now recognised that people who develop myeloma have previously had (although not necessarily been diagnosed with) a condition called monoclonal gammopathy of undetermined significance (MGUS). This typically is shown by people with a raised level of paraprotein, but no other symptoms like bone disease or a higher than 10% level of abnormal plasma cells in the bone marrow. 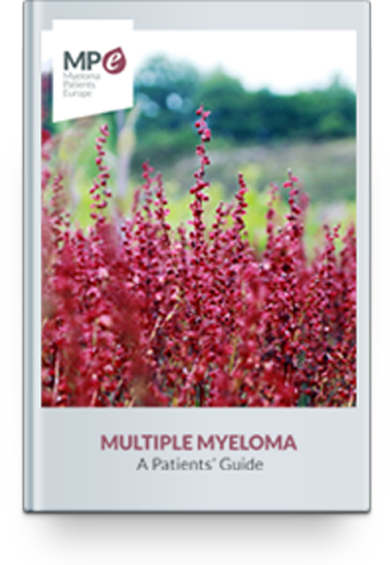 Even if there are up to 30% of abnormal plasma cells (that is, a higher level than in MGUS), this level can rise very slowly and still show no symptoms; a condition known as smoldering myeloma. Neither MGUS nor smoldering myeloma need treatment, but patients will be monitored at least once a year. Not all MGUS patients go on to develop myeloma; the cause of the change to myeloma is not yet understood but is probably genetic.